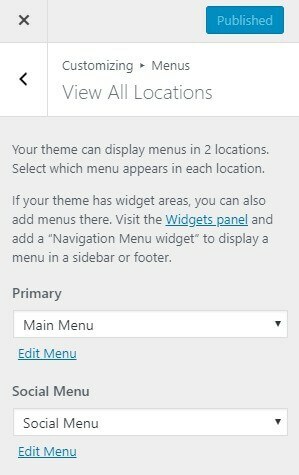 From Administration Panels go to Appearance > Themes. Click Browse. Locate My Portfolio .zip theme in your computer. Select My Portfolio.zip and click Install Now. Unzip My Portfolio.zip to your Desktop. Using an FTP client to access your host web server, go to /wp-content/themes/ and upload your new copy of My Portfolio theme. After Activating Theme,you will see the a notice offering you to install required plugins. Click “Begin installing plugins”, on the screen that appears, next select the plugins you want to be installed, pick “Install” in Bulk Actions select box and click “Apply” button. For optimal user experience install and activate all recommended plugins. Navigate Through Appearance > Import Demo Data. Go to Post,Click Add New. Add Title,Content,Feature Image and Categories. Go to Page,Click Add New. Add Title,Content and Feature Image. From Customize section, go to Site Identity. You will see various option. Logo: Main logo of the site. Site-title: Main site title of the site. Tagline: Tagline (i.e:Description) of the site.Just below site title. logo only: This option help you to enable logo only. Logo + Tagline: This option help you to enable logo and tagline only. Title Only: This option help you to enable logo only. 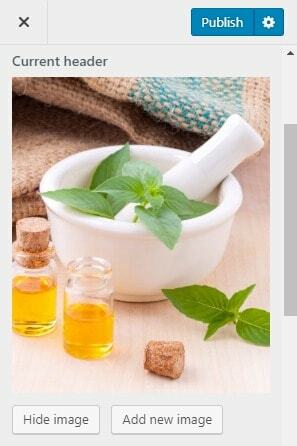 Title + Tagline: This option help you to enable logo only. Display Site Title and Tagline: This option help you to disable and enable Site Title and tagline in your site. 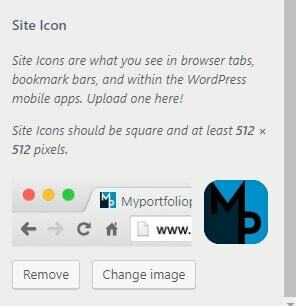 Site Icon: Site Icon is used as a browser and app icon for your site. Header Text Color: Choose Header logo text color using this option for your website. 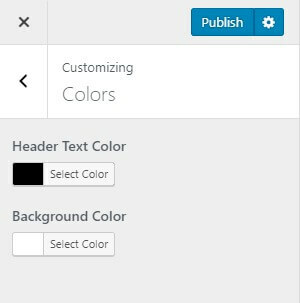 Background Color: Choose background color using this option for your website. Enable One Page: This option help you to enable/disable one page option. Enable Search: This option help you to enable/disable search. 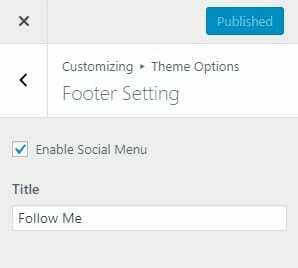 Enable Social Menu: This option help you to enable/disable social menu. 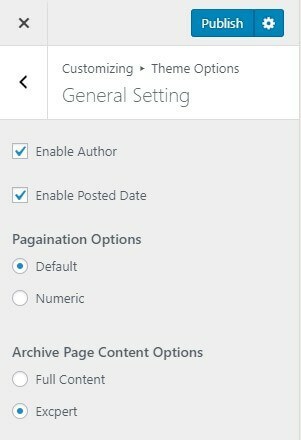 Enable Author: This option help you to enable/disable Author. Enable Posted Date: This option help you to enable/disable Posted date. 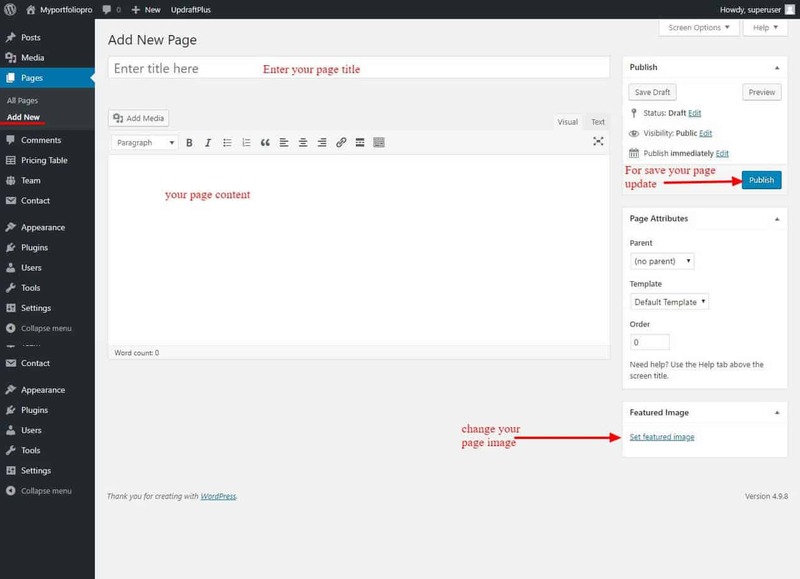 Default: This option set default pagination in your website. Numeric: This option set numeric pagination in your website. Full Content : This option set full content in your website. Excerpt: This option set excerpt content in your website. Title:This changes title of social menu. 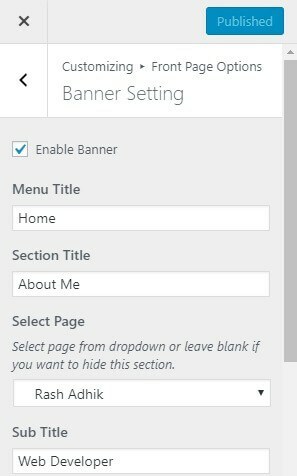 Enable Banner: This option help you to enable/disable Banner part. Menu Title:This option allows you to set Menu Title. Section Title:This option allows you to set Section Title. 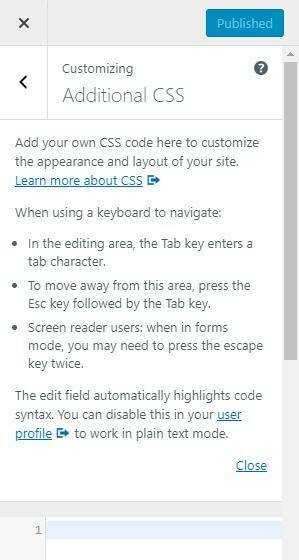 Select Page:This option allows you to select page. 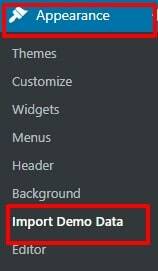 Sub Title:This option allows you to set Sub Title. 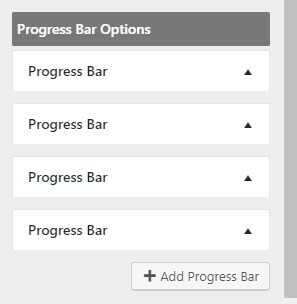 Progress Bar Options:This option allows you to set Progress bar. Enable About Section: This option help you to enable/disable About section. 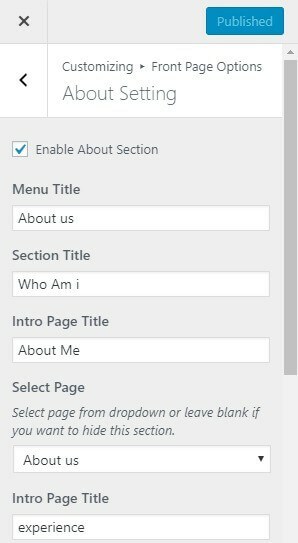 Intro page Title:This option allows you to set intro page Title. Counter Options:This option allows you to set Counter. 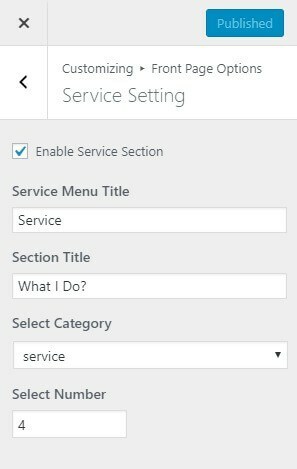 Enable Service Section: This option help you to enable/disable Service section. Service Menu Title:This option allows you to set Menu Title. Select Category:This option allows you to select Category for your site. 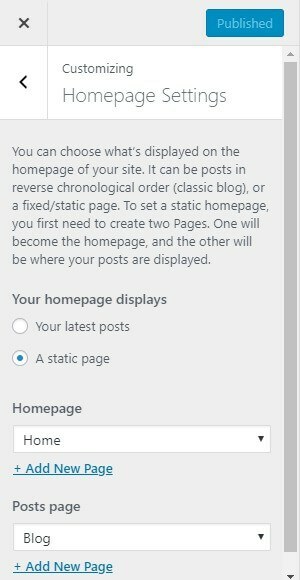 Select Number:This option allows you to select number of post for your site. Enable Portfolio Section: This option help you to enable/disable Portfolio Section. 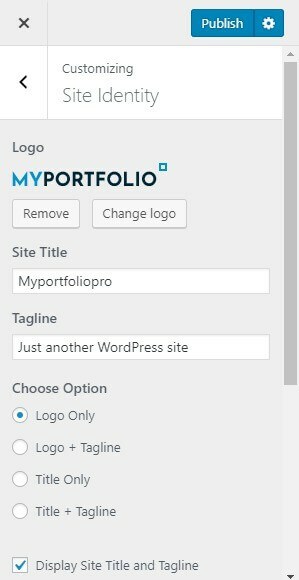 Portfolio Menu Title:This option allows you to set Menu Title. 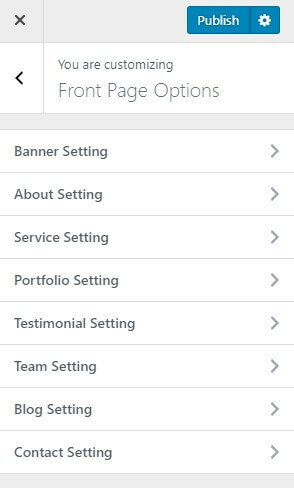 Enable Testimonial Section: This option help you to enable/disable Testimonial Section. 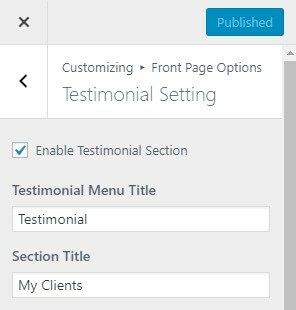 Testimonial Menu Title:This option allows you to set Menu Title. Title:This option allows you to set partner title. Partner Logo Options:This option allows you to set partner logo. Enable Team Section: This option help you to enable/disable Team Section. 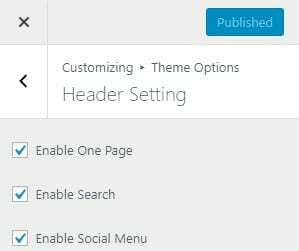 Enable Blog Section: This option help you to enable/disable Blog Section. 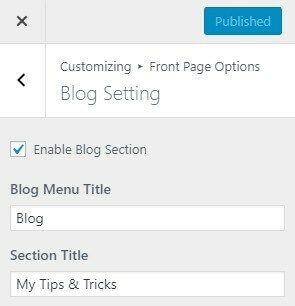 Blog Menu Title:This option allows you to set Menu Title. Enable Contact Section : This option help you to enable/disable Contact Setting . Contact Menu Title:This option allows you to set Menu Title. 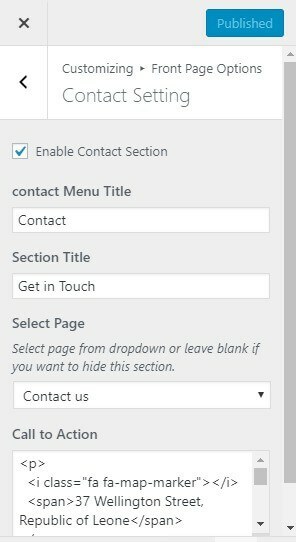 Select Page: This option allows you to select page for contact. Call to Action: You can put the other contact information on Here. 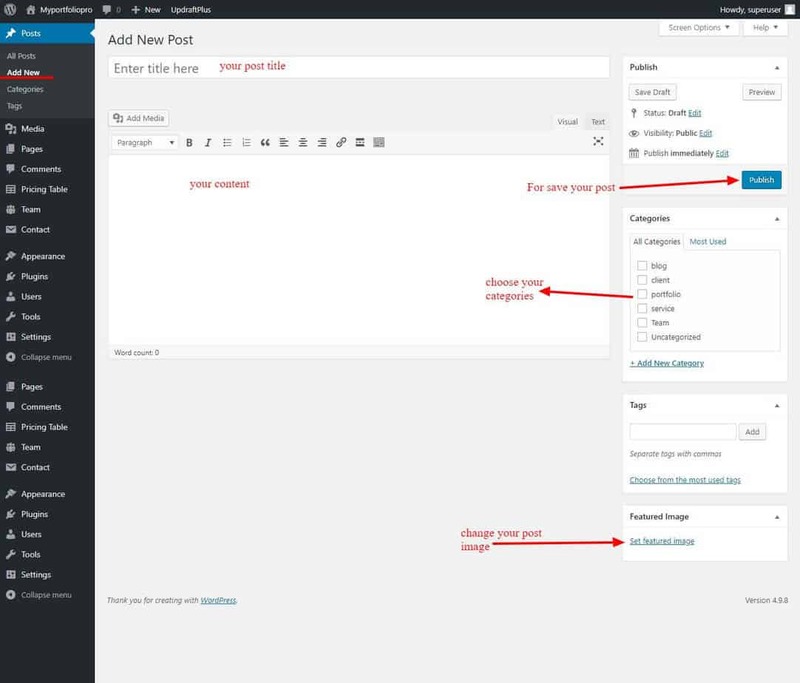 To create menu, you need to go to Admin Panel > Appearance > Menu . 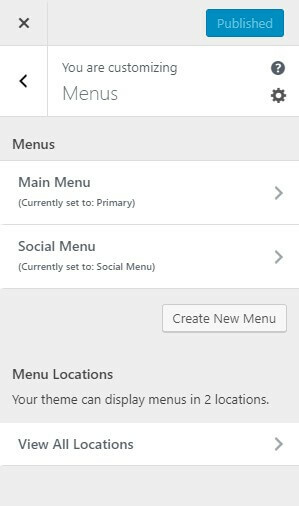 OR You need to create menu from Customize > Menus > Create Menu .You can create more menus in similar way.After creating menu you have to set the Location. 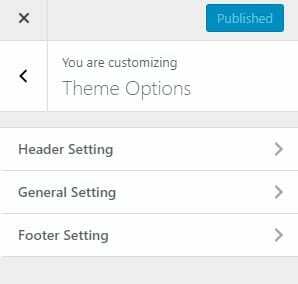 From Customize section, go to Homepage Setting you will see two option.This option help you to set home page and blog page as your choice.